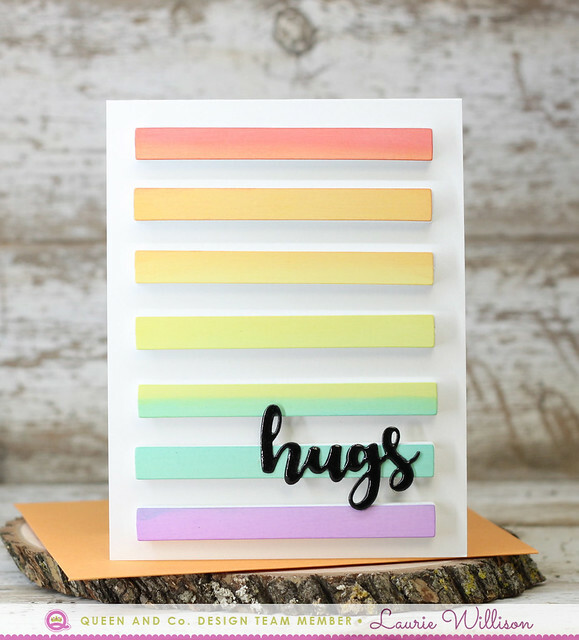 This first card is made up of a card base, the foam front and the cardstock panel included with the foam front, and a sentiment die. Super easy and quick and lots of dimension. These new sentiment dies are so much fun. I cut them out of black cardstock and then added a little glossy accents for some shine. 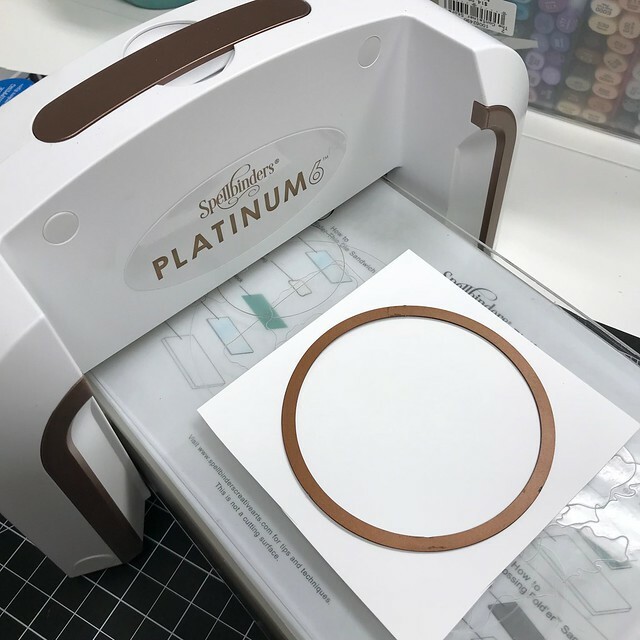 Head on over to the Queen and Company blog to check out all the foam fronts. There is lots to choose from and the possibilities are endless! So glad you stopped in today! Hope you had a wonderful thanksgiving! 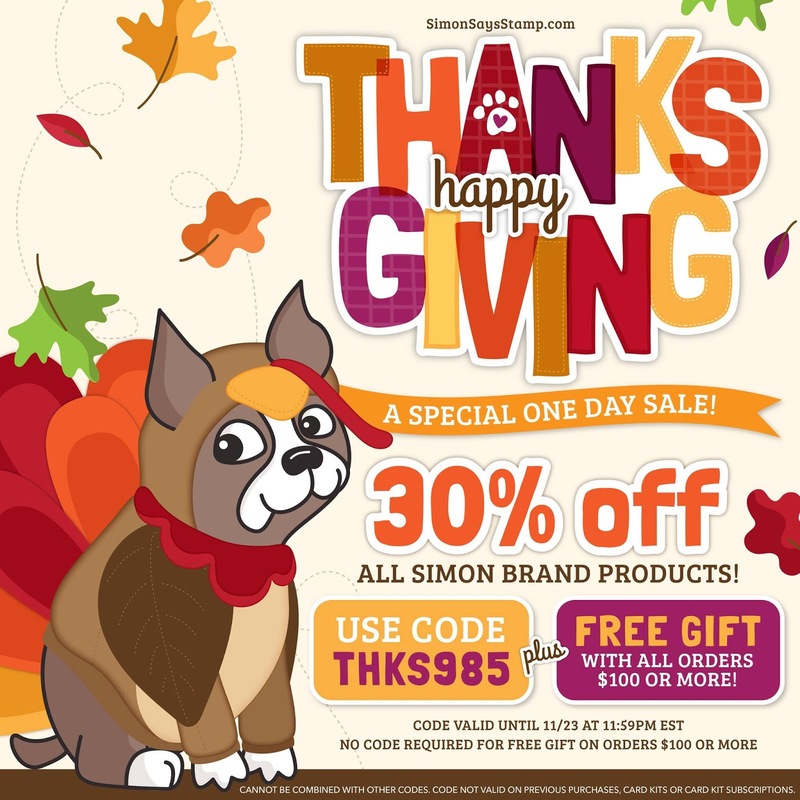 Check out this great sale on Simon Brand Products today over at Simon Says Stamp! 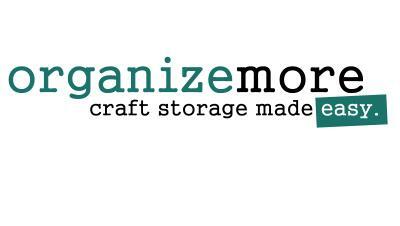 Happy thanksgiving to all my crafty friends! Happy Wednesday! 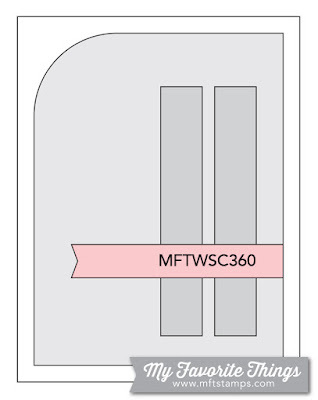 Today we are bringing another round of MFT's Wednesday Sketch Challenge. If you are new to MFT, every Wednesday a new sketch is available to play along with. Sketches are an amazing way to bring back that lost mojo or just spark some creativity. For this card, I used a Mod Rectangle Stax for the background after doing a little ink blending, water misting and white paint splatter. I love this effect! 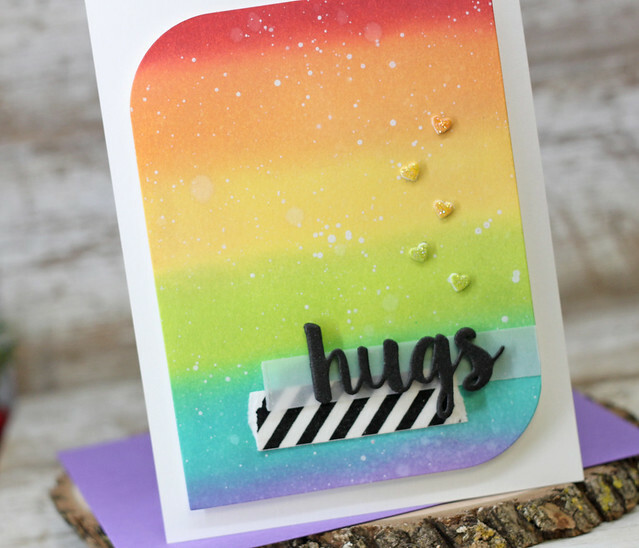 Next, I added in a vellum banner to hold the "hugs" sentiment die. I added a little black and white washi onto white cardstock. I cut it down and then tore the edges for that fun washi look. 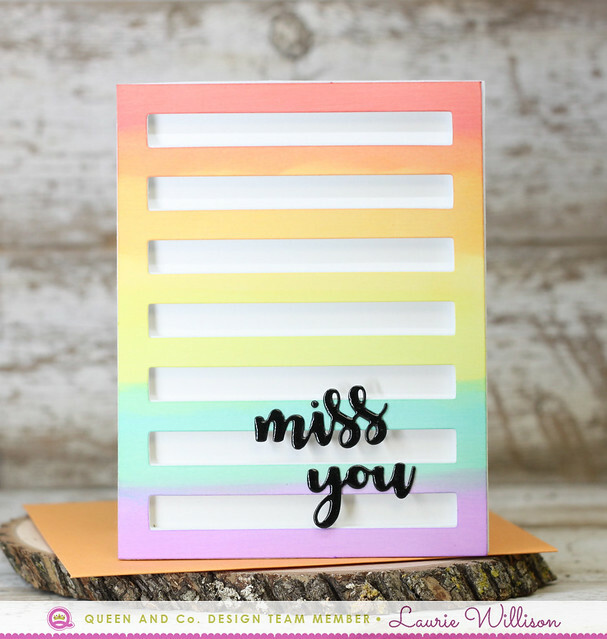 By adding the washi to the white cardstock first, it gives it a bright white striped look. To finish off the card, I added in little coordinating hearts along the side with some glossy accents and glitter. 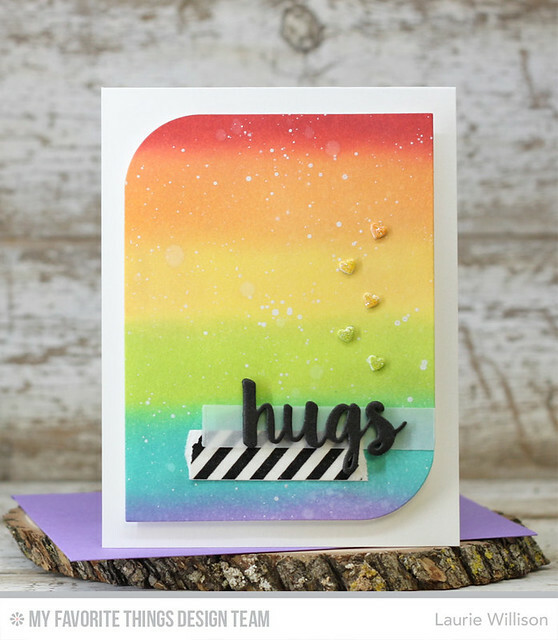 Head on over to the MFT Challenge Blog for a list of stops to make to see more inspiration using this week's sketch. I hope you can play along too! Have a great day! 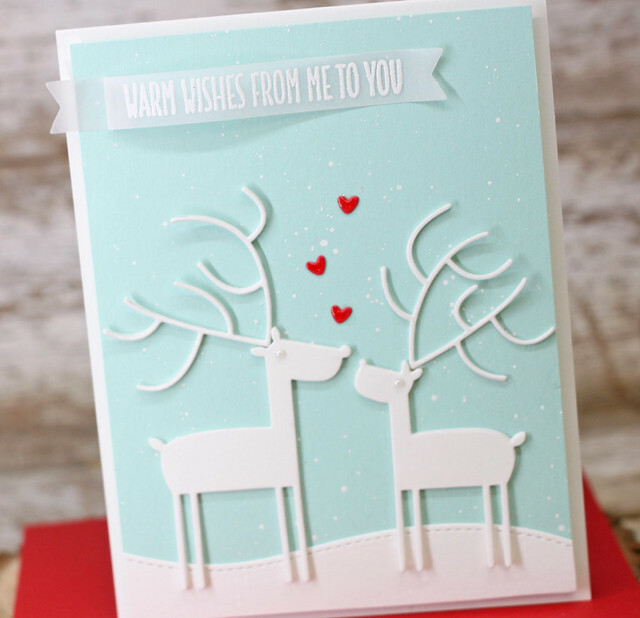 Welcome to the Spellbinders November blog hop! 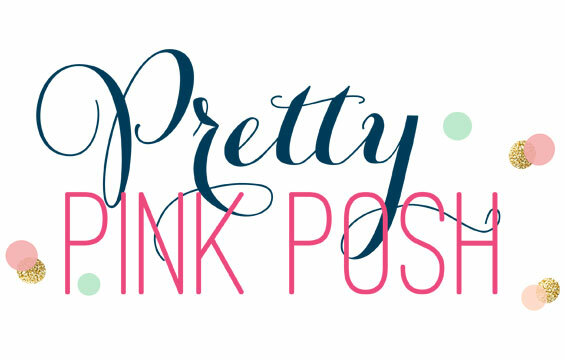 I am so excited to be joining in on this hop with some amazing crafters today. 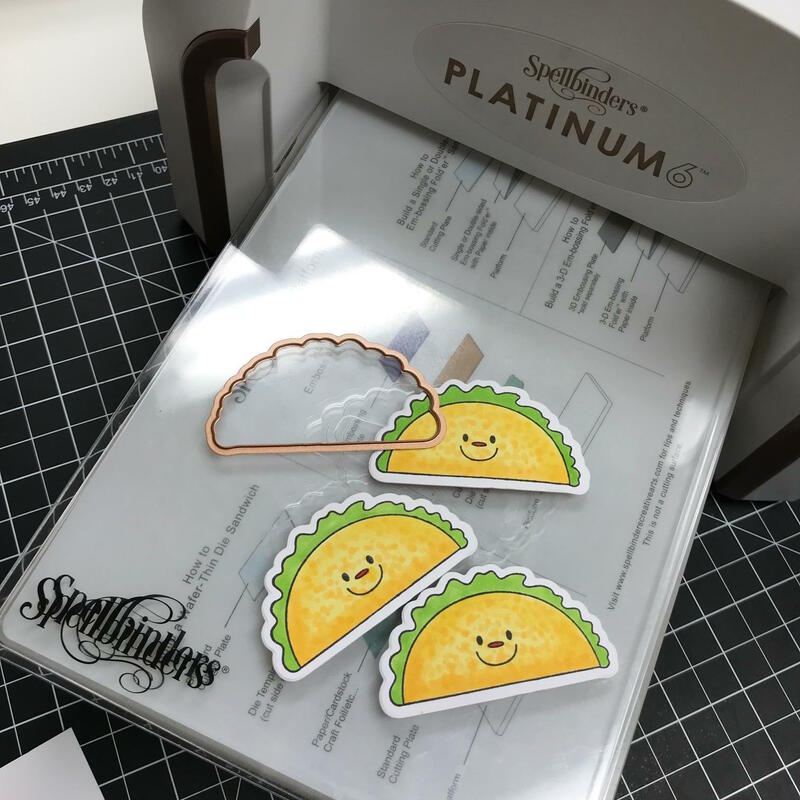 We are sharing the latest release from Spellbinders for November 2017. I am so excited you are joining me here today. You can follow me over on Instagram for more crafty fun at @laurie_willison. I love clean and simple, so I knew when I saw the adorable die of the US and its outline I could create a fun CAS card. First, I die cut the "shadow" out of some gold glitter cardstock. 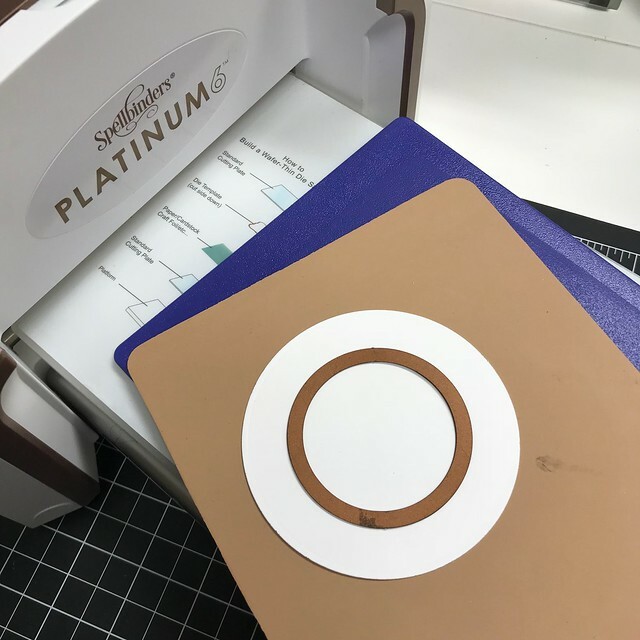 Next, I die cut the main die out of white cardstock. I die cut and color that adorable little camper and then popped it up on foam tape, after I stamped the sentiment. The die set also comes with those adorable hearts, so I cut a couple of hearts and then did a little Copic coloring to give a little dimension. I trimmed the bottom of the card front so I could add a little striped washi to the card base, and then popped the from up on fun foam to finish it off. 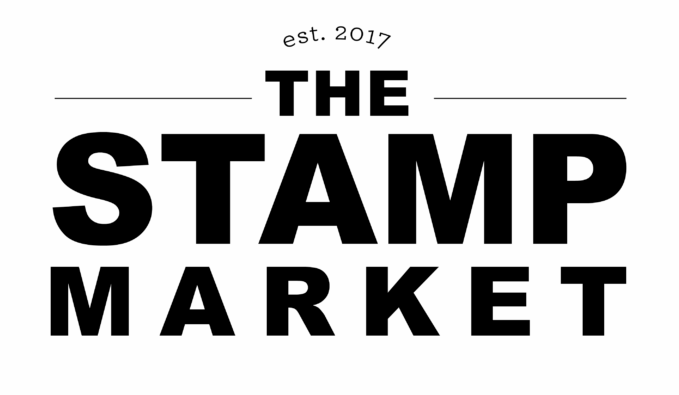 Another stamp set in this new release is called The Breakfast Club. I just love this set. 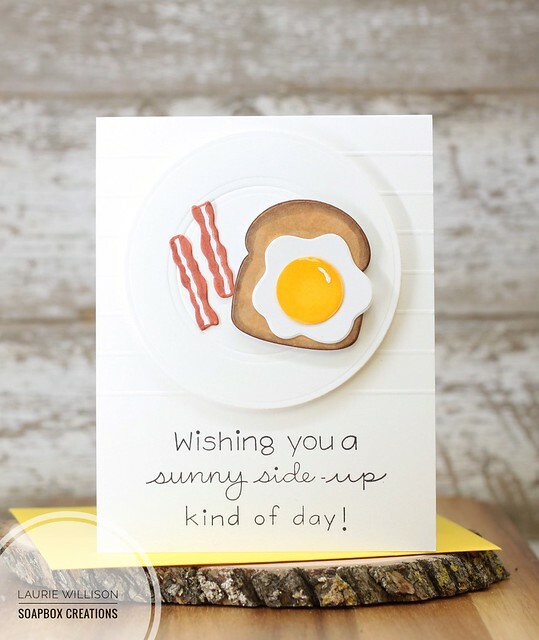 It comes with some adorable sentiments and the cutest dies! 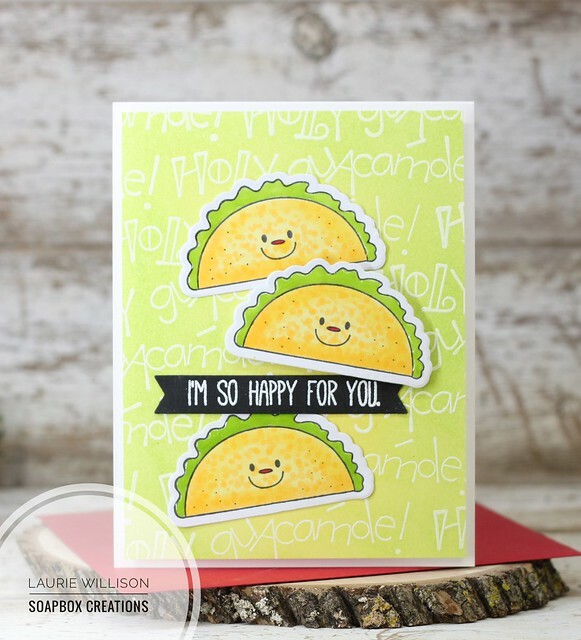 To create this card, I stamped a sentiment on the bottom of the card base and then added a few score lines above it. 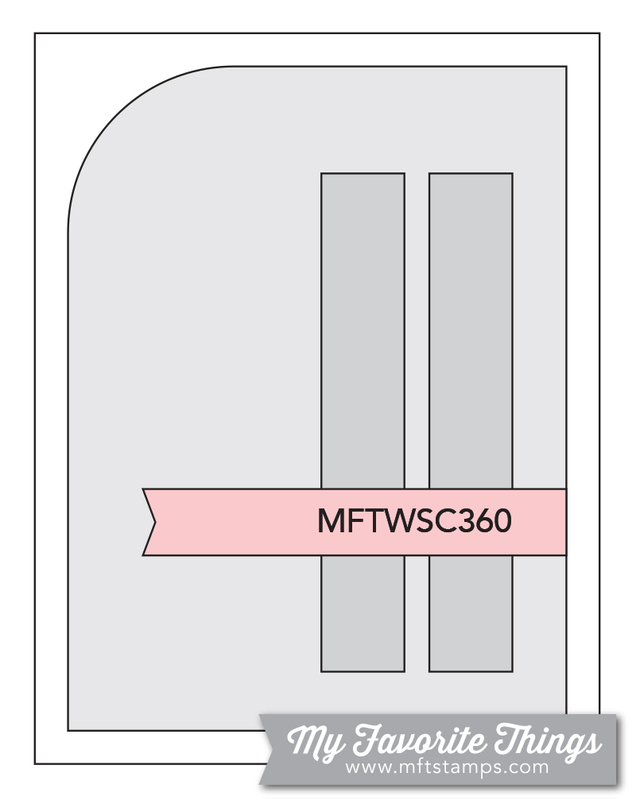 Next, I used the Standard Nestabilities Circles to create a plate for my eggs and toast. 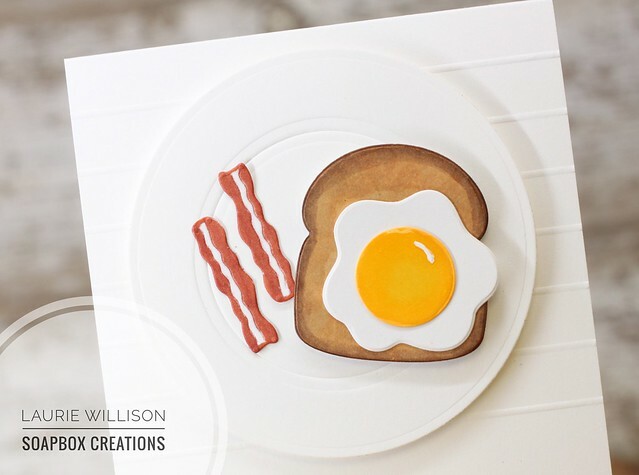 I added the plate to the card front with fun foam, and then served up the toast, egg and bacon. One more set that called my name is called Cool Beans. When I saw those Tacos smiling at me? Yep! Because who doesn't love tacos? 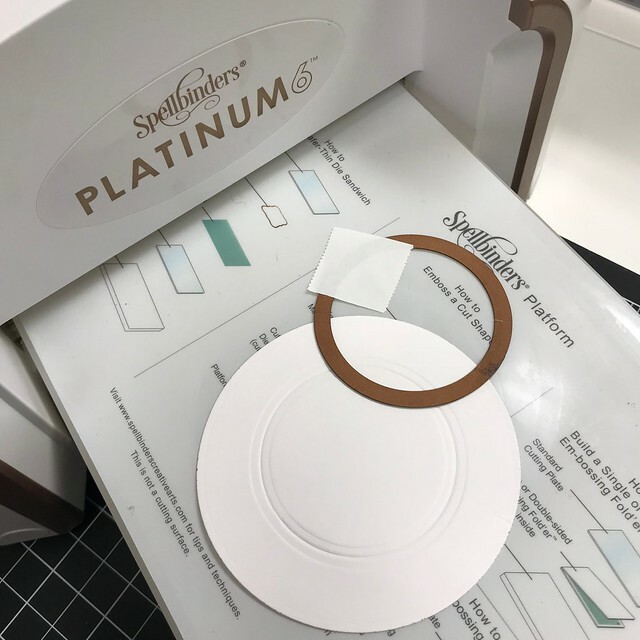 Spellbinders open dies make die cutting the images super easy! 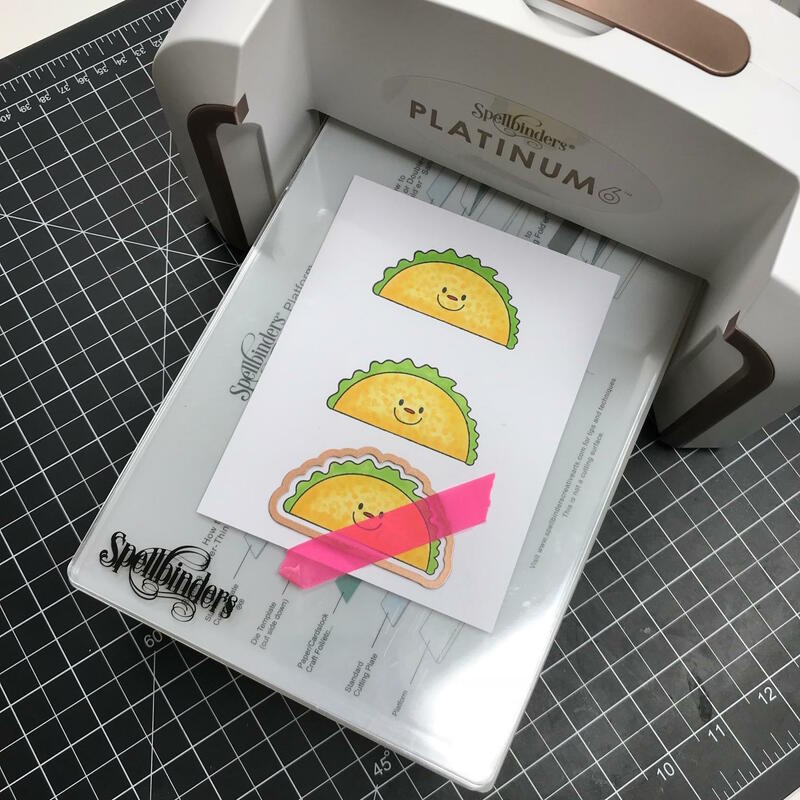 Last, I heat embossed a sentiment on a black banner and arranged the tacos on the card front. 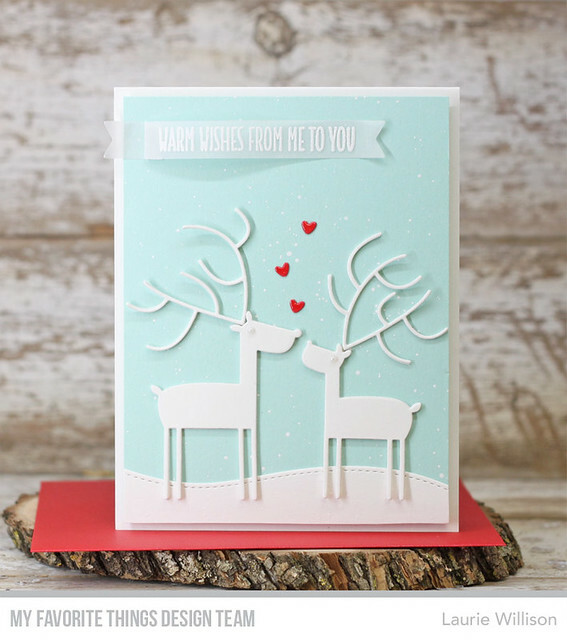 Spellbinders is also giving me a $25 gift certificate here on my blog. Please leave a comment here by Sunday, November 26th 11:59 pm EDT for a chance to win. The winner will be announced here on my blog the following day. So glad you stopped in today. Hope you have a great week! 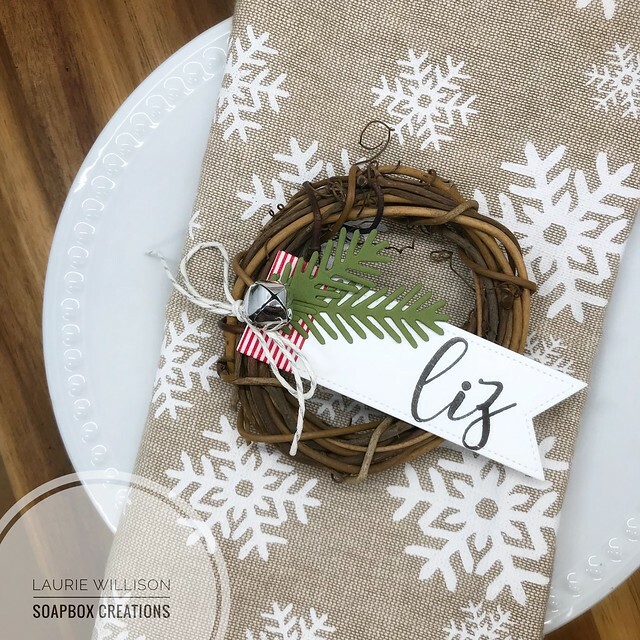 Yesterday I was a part of an Instagram Hop for the 25 Days of Christmas Tags. 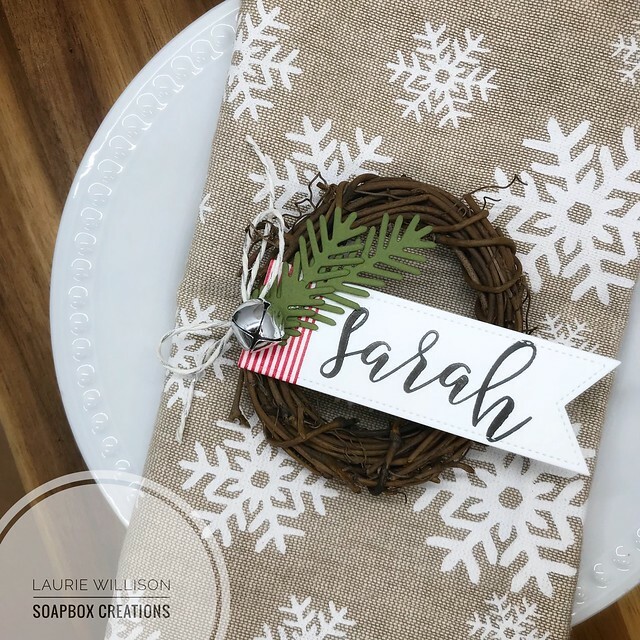 Head on over to IG and follow me @laurie_willison and you can follow and comment to win prizes. I thought I would stop in here and share my projects. These are SO very easy to make! 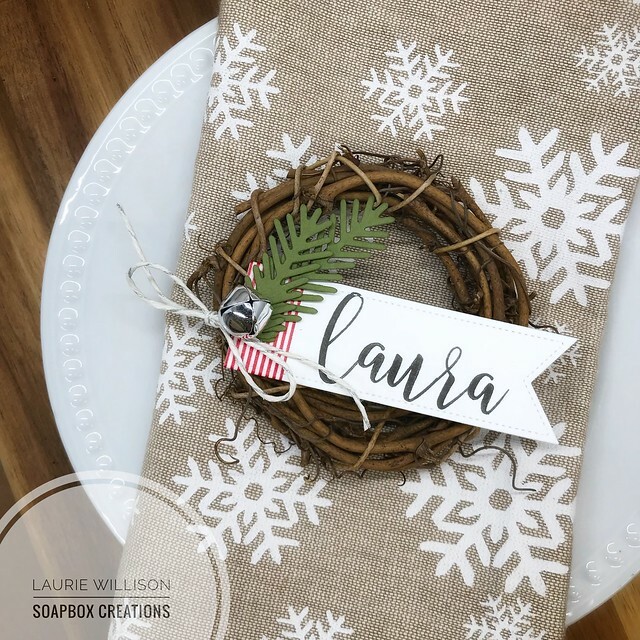 I love to personalize my table for the holidays and there are 2 products from Concord and 9th that will help you do just that! 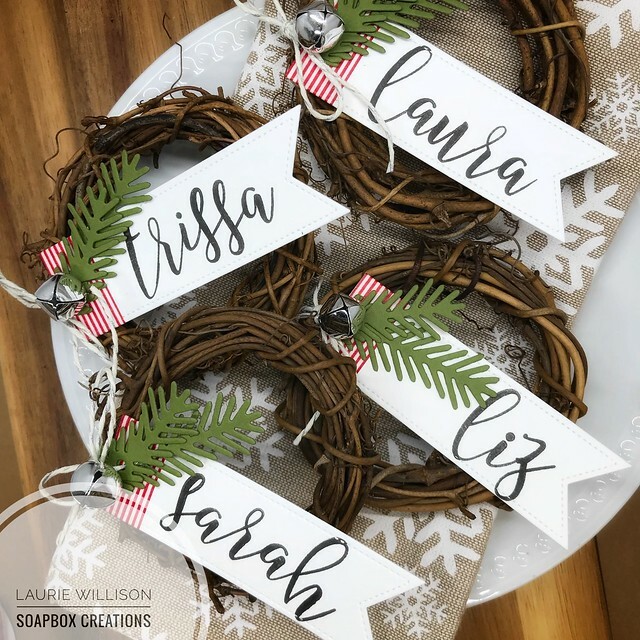 To start, I grabbed some mini grapevine wreaths from Hobby Lobby or you can get them from Amazon....links below in my supply list. I took a small piece of red and white striped washi and wrapped the top of the tags. Next, I stacked the tags up and used my Crop-o-Dile to cut holes in the stack of tags. Next, I cut some boughs from the Take A Bough die set. 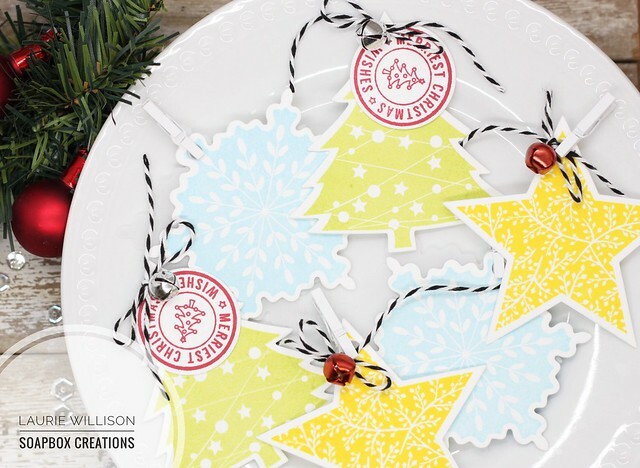 This die set is SO much fun because you can create your own paper tree. Or in this case, it just adds a little greenery to the place setting. To finish off the tags, I tied the tag, the boughs and a silver bell to the grapevine wreath with some Lawn Fawn Glitter Twine. 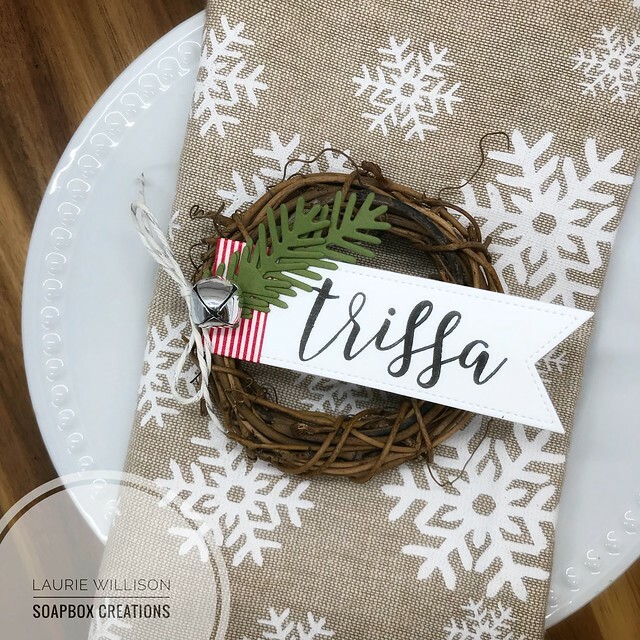 Seriously these are just super easy and quick and paired with a fun napkin, your holiday table is sure to look festive! 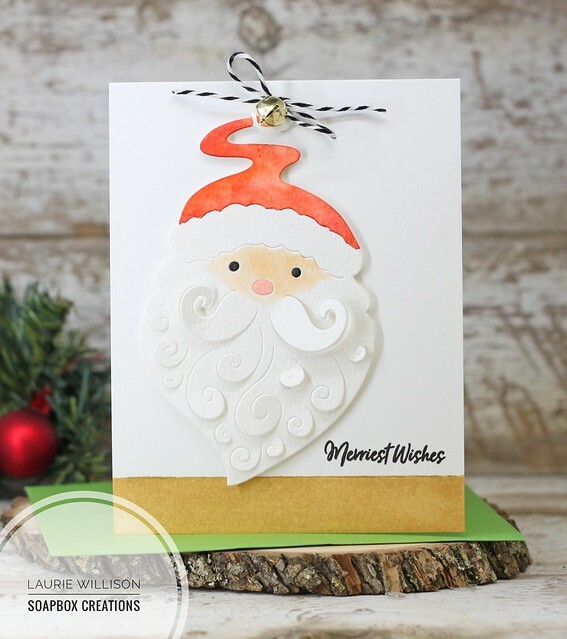 Don't forget to stop on over to Instagram and find me.... @laurie_willison and follow and comment for a chance to win! There are lots of prizes to be given away! 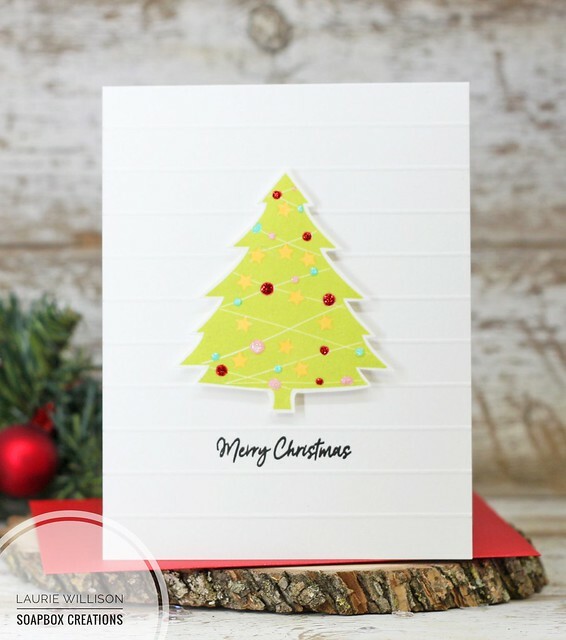 I used the Square Peek-a-boo Window in the background and then filled it with a little kraft polka dot paper from the Dots and Stripes Neutral pack. Next, I added a vellum banner and sentiment to the front of the card. Last, I popped up those adorable coffee cups on foam tape. 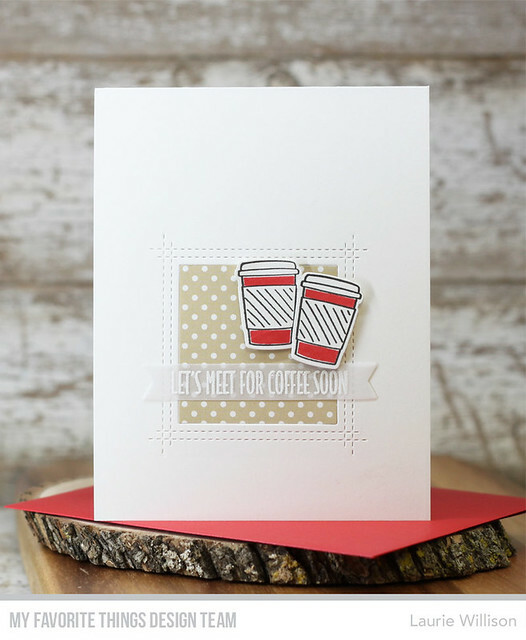 The coffee sets from this latest release called, Coffee Break and Coffee Date, are so fun and so versatile! Head on over to the MFT Blog to see more sketch inspiration this week. So glad you stopped in! First, I did a light watercolor wash in the background. I added the chain frame in the gold glitter card stock. Next, I added in a few of the Fab Foliage leaves in green card stock. 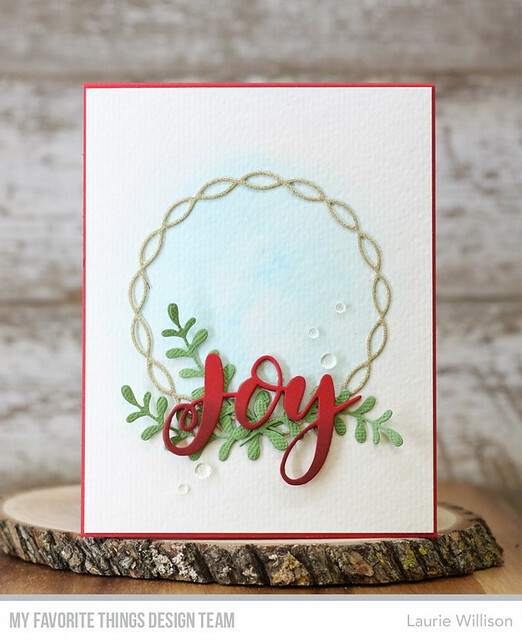 To finish off the card front, I added in the Die-namics Joy in red cardstock, after doing a little dark red ink blending along the bottom. For a tiny bit of bling, I added in some Clear Droplets. 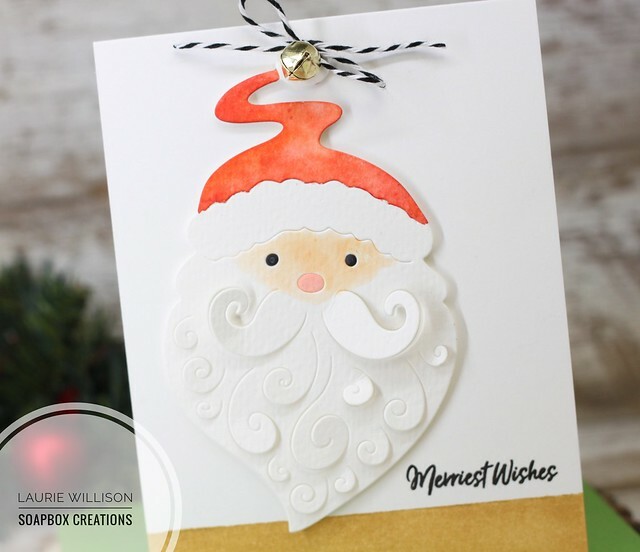 Check out the MFT Blog for more November Release inspiration. Thanks for stopping in today. Hope you have a great day! This set is called You Make My Heart Melt and its just so adorable! 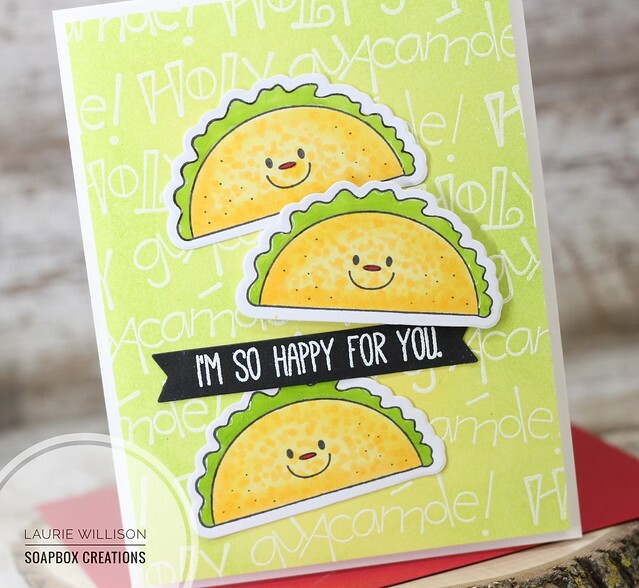 Lots of fun images in included to make your card front sing. I added some white stitched slopes on to the this light gray card base. Then I added in all the colored images. 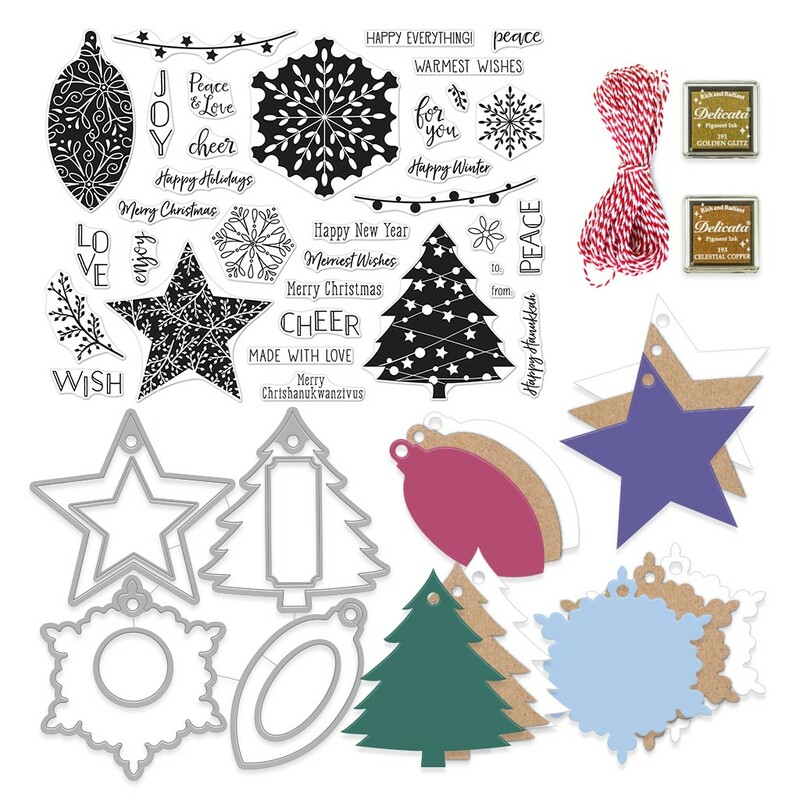 I grabbed some tree die cuts from the Scenic Snow Globe die set and added those in too. It's hard to see but I added the heart in white ink on the top of the card. The MFT Blog will have lots to see and all the details about the November Release. I can't wait for you to check it out and hear all about whats on your wishlist! Thanks for stopping in today and have a great day! 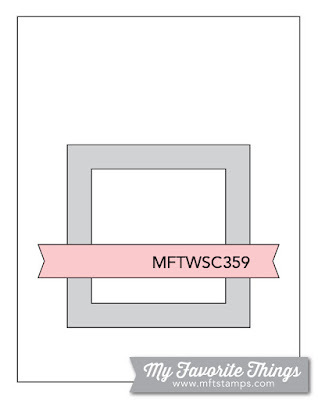 Today is the last day of the MFT November countdown! 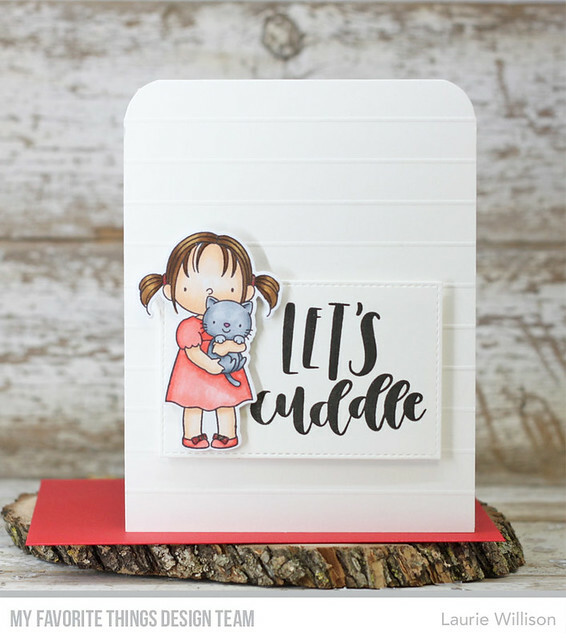 I have one last card to share today using an image from the new set, New Best Friend and "Let's Cuddle", the free stamp with purchase this month. This card was super easy to make. I scored the background using my Scor-buddy every 1/2". Then I cut a stitched panel using the Stitched Rectangle STAX. I stamped the "Let's cuddle" in black ink and popped the panel up on foam tape. Last, I colored that adorable little gal and her kitten using Copics. I added her to the card with a little bit more foam tape and that's it! These adorable new Deer Love Die-namics. Agh! I love them. 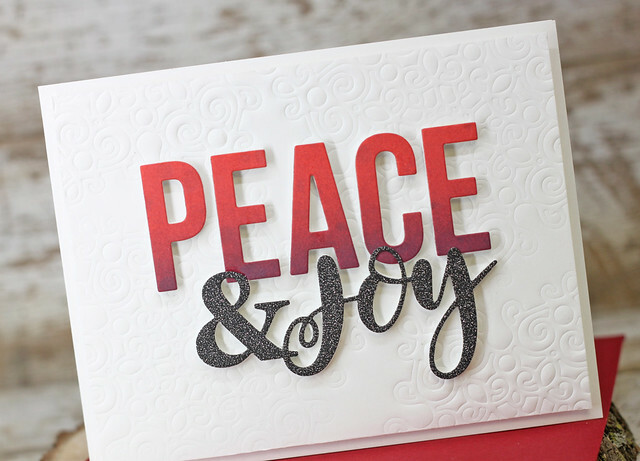 To create this card, I took a piece of Sno Cone card stock and did a little white paint splatter in the background. I added in a little Hit the Slopes stitched hill at the bottom of the card. Next, I cut the largest banner from the Essential Fishtail Sentiment Strips out of vellum and heat embossed a sentiment from the Coffee Break Sentiment set, also new this month. Last, I grabbed the Deer Love die set and cut out 4 of each deer and 3 of the mini hearts that are included in the die set. I stacked the dies up to create a more 3D card and then attached them to the card front. I used a Red Copic to color the 3 hearts and glued them down. Last, I used a little glossy accents to add some shine to each heart. This die set? So fun!! Check out the MFT Blog for more details on this amazing November Release. Thanks for stopping by and have a great day! This adorable new stamp set is called New Best Friend. 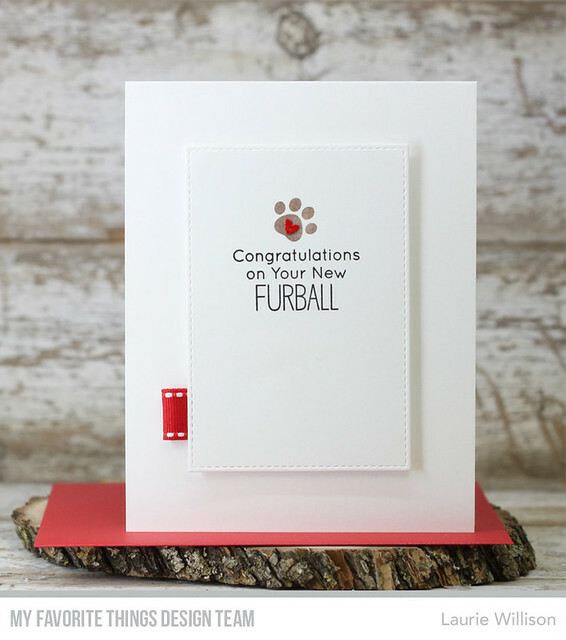 I simply stamped the sentiment, a paw print, added a heart and the die cut the panel out with a Stitched Rectangle Die. I popped that up on fun foam and then tucked in a piece of stitched ribbon to add some color. Easy Peasy! Check out the MFT Blog to learn more about the November Release. Stay tuned for more this week! Hello there! 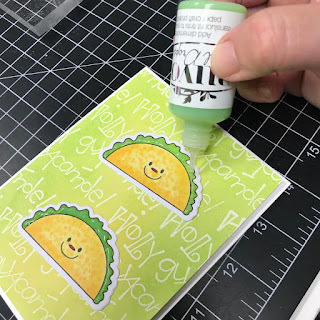 It is Day 5 of the MFT November Countdown....and we I am sharing a fun new die today called Mesmerizing Mandela Die-Namics. Instead of cutting out the mandela, I decided to use it to emboss the background. 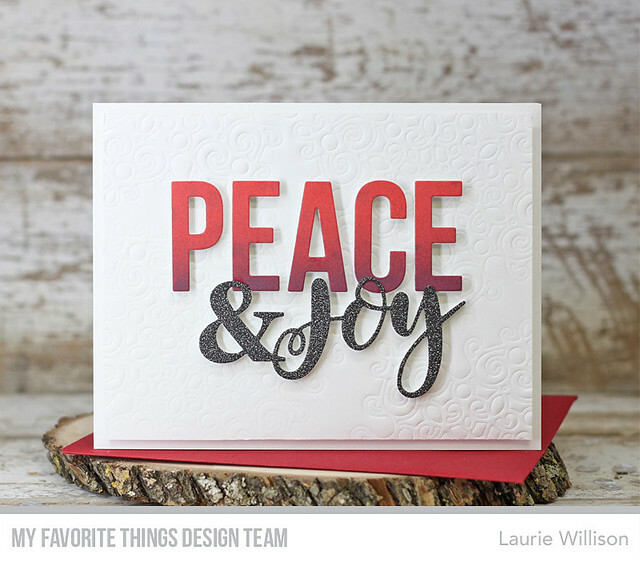 I did a little ink blending on white card stock and then die cut the sentiment PEACE, which is also available this month. Next, I die cut the ampersand die and the joy die out of glittery black cardstock and attached everything up on fun foam. Love these new products just in time for Christmas. 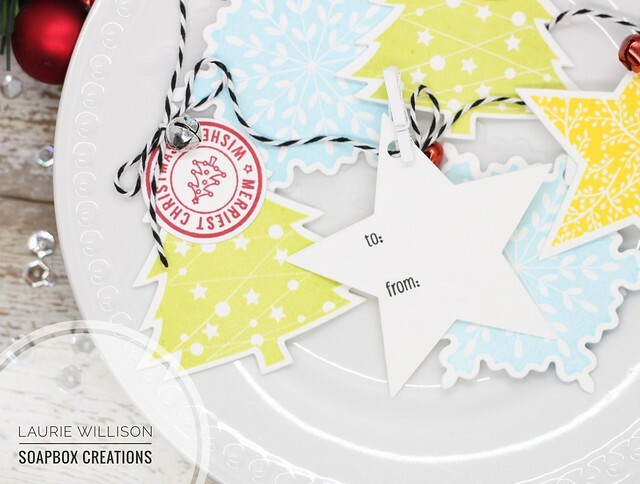 Head on over to the MFT Blog to see more about the November Release.